Great brands connect. A thoughtful brand design and well-documented specifications can inspire your audience to understand better about your company, your beliefs, what you do, and your offerings. Branding design and specification services help in strengthening the perceived value of your company and provide excellent springboard to launch new products and services to the market. It also offers unified visual experience to your existing and potential customers when they come across to your marketing messages. 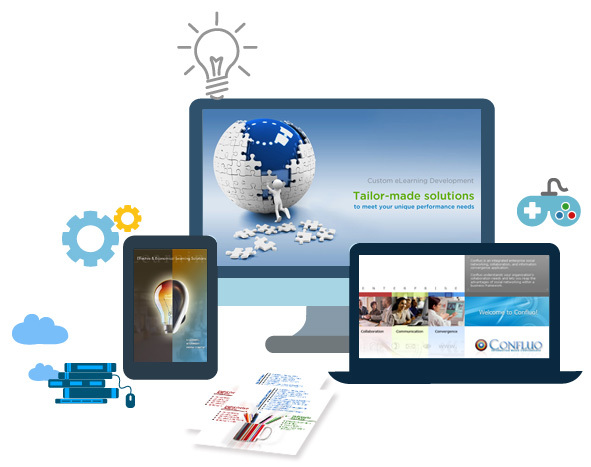 At FCS Learning Solutions, we create unique, distinctive, and interactive brand designs that influence your audience and allow you to present and maintain a powerful brand identity that extends into all the facets of your business. We are a team of seasoned graphic designers, visualizers, marketing strategists, and programmers who creates brand designs and specifications tailored to your specific needs. Our efforts begin with understanding your brand strategy and thoughtfully generating creative ideas that will reinforce your brand identity and drive genuine business results. We look into the minute details of each element of your brand design that includes font size, color sets, layout positions, spacing, outline, etc., to ensure consistency and that your brand identity and ethos meshes perfectly with each other.